The ones you dream about, also dream about you. Men and animals are alike in some ways. The mental make-up and senses of animals have evolved in ways different from ours. Animals live in a different world from ours. 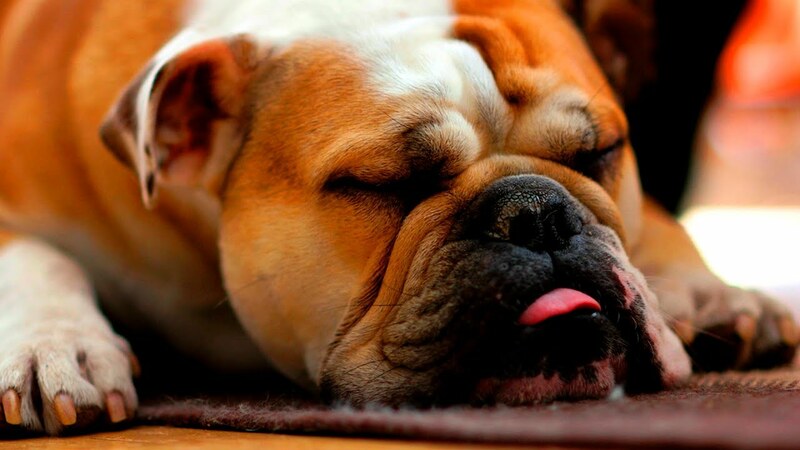 Dogs enter into a “deep sleep” stage that is accompanied by REM (rapid eye movements) and irregular breathing. This is the stage where people are known to have dreams. It’s also the stage where you’re likely to see Fido pawing the air or hear him growling at nothing. The case seems to be similar in rats. Thus, if a rat ran a complex maze during the day, he might be expected to dream about it at night. While a rat was awake and learning the maze, electrical recordings were taken from its hippocampus. That is an area of the brain associated with memory formation and storage. There is also evidence that the animal is certainly recalling events as they occurred during the awake state, and it is doing so during dream sleep. That’s just what people do when they dream. How To Know If Your Dog Is Dreaming? The signs are recognizable with a change in breathing which becomes regular (same as humans) and odd muscle twitches.You can even see your dog’s eyes moving behind its closed lids if you look! The eyes move because the dog is actually looking at the dream images as if they were real images. It is also very important to not disturb a sleeping dog unless necessary. Aside from the fact that its only fair to let them take rest. If they are dreaming of chasing a cat or attacking a burglar or as simple as chewing bones, they may not be able to distinguish between a dream and reality! What Do Your Dogs Exactly Dream About? Well, a Labrador may be dreaming of swimming to retrieve a duck from a pond. And dachshund could be dreaming of sausages! Some people might not believe these similarities between humans and dogs to be a fact. Interestingly, we are more alike than people realize. So next time you see your dog twitching in his sleep, just enjoy it. And resist the temptation to wake him from his dream endeavors of catching the next door neighbor’s cat! So the next time someone asks you: “Do dogs dream?”, you know what to say!